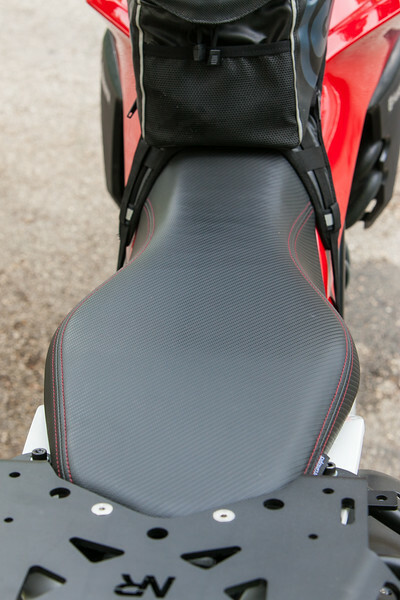 The stock TR650 seat has a scooped shape and a “lip” near the back of the seat that locks the rider into one riding position. You can see both the scoop and the lip in the two photos below. 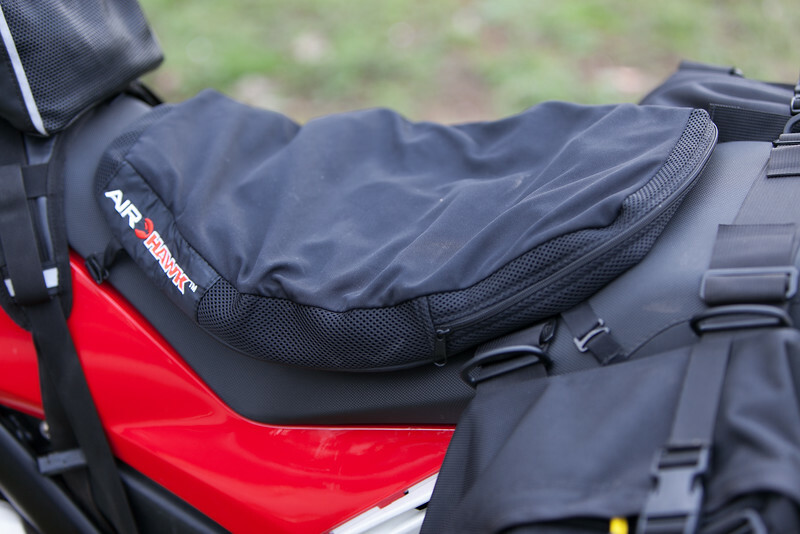 The stock seat is pretty comfortable – I’ve certainly had a number of bikes whose stock seats were not anywhere near as comfortable as the stock Terra seat – but I didn’t really like the shape of the seat or being locked into one seating position. So I decided to see what options might be available for a better seat. The first thing I tried was my Airhawk seat cushion. I’ve been using the Airhawk for years and have found it to be very comfortable. 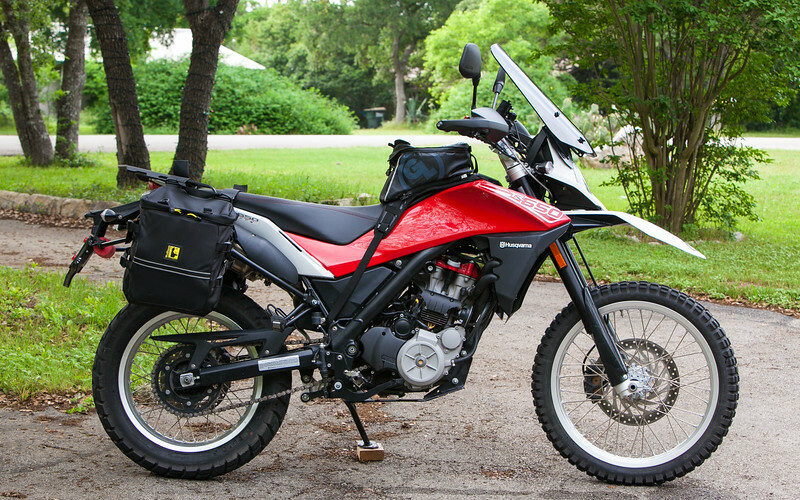 Sadly, it didn’t work as well on the Terra seat as it has on other motorcycles. The scoop negated some of the effectiveness of the Airhawk. Time to try something else. 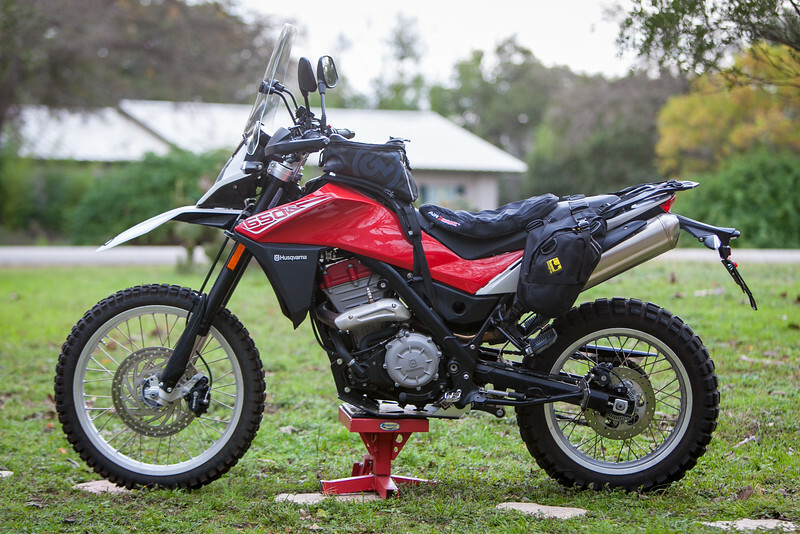 I’ve had good luck with Seat Concepts seats on on DR-Z400 and a Honda XR650L so I decided to try it on the Terra. 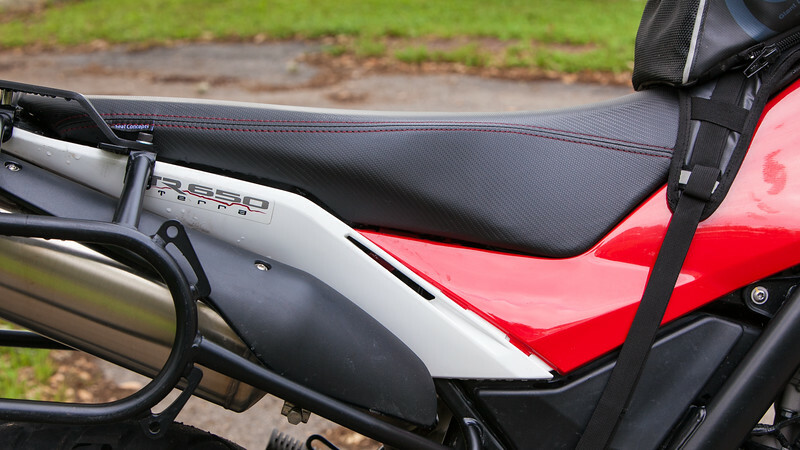 The way it works is that Seat Concepts sells you a seat cushion and a cover to replace the stock seat cushion and cover, reusing the stock seat pan. Seat Concepts sells three different thickness foams for the Terra – low, standard, and tall. 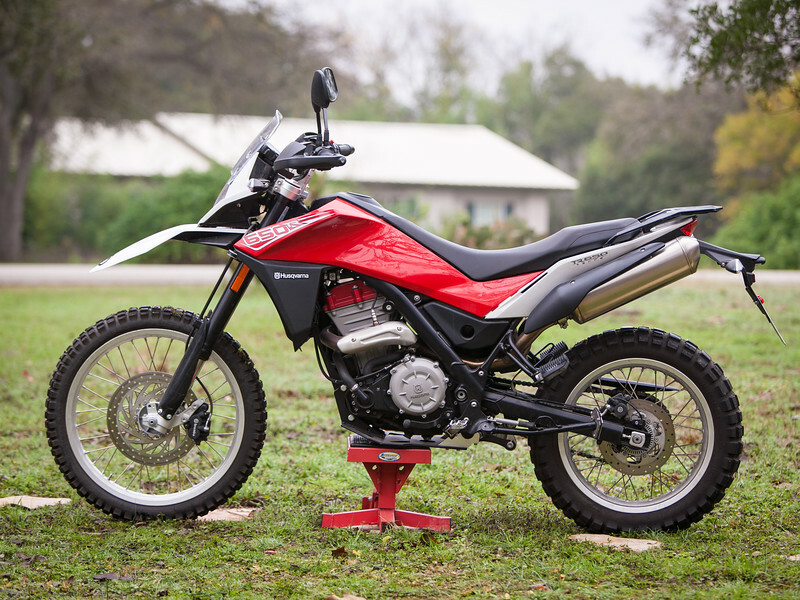 I tried the standard version first and it was fine but I decided I wanted to try the tall version in order to provide a greater distance between the seat and the foot pegs. 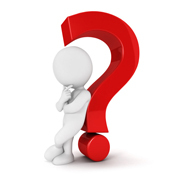 The distance between seat and foot pegs is a bit too close for me – something the tall seat would help with. As you can see in the photos below the tall version completely removes the “scoop” and the “lip”, leaving a level seat for the rider. I also elected to go with a slightly firmer foam (called +1) for a little extra support. 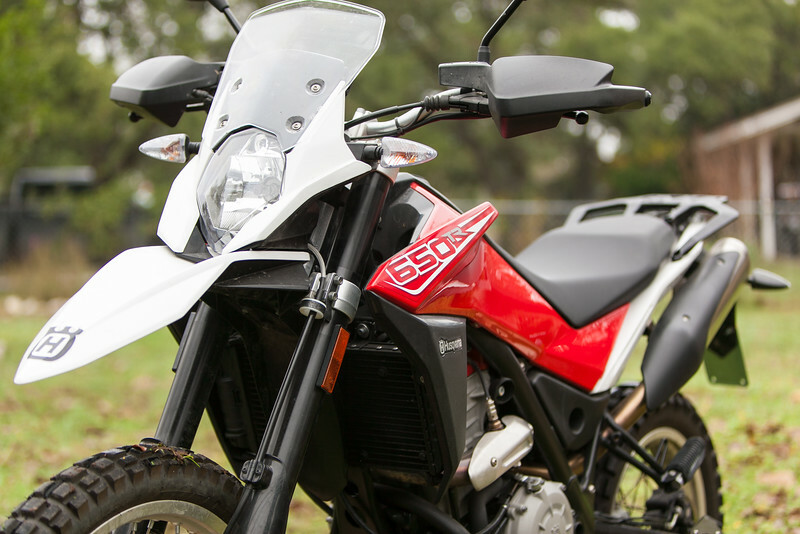 Wh While I like the fact that the Seat Concepts eliminates the scoop and I can now slide fore and aft as the riding conditions dictate, I’m a little disappointed that the Seat Concepts is not as comfortable as the stock seat. It’s not terribly uncomfortable, it’s just not all day comfortable, which is what I was shooting for. I suspect it is due to the firmer foam and my hope is that over time as the seat breaks-in it will become more comfortable.